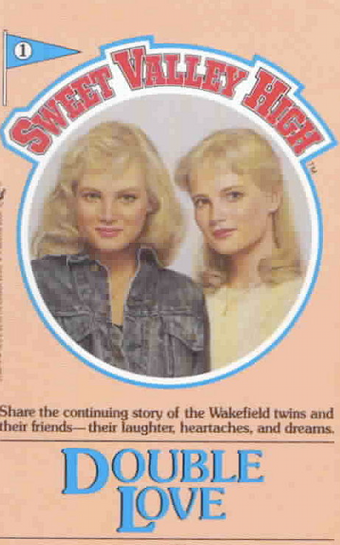 It's Sweet Valley Fever! Not only is there a Diablo Cody-helmed film in the pipe and the whole gang on Twitter, but an all-grown-up sequel is dropping in April 2011 — and we read the preview. First of all, you have to be an adult to even access the top-secret preview, so are we all at least 18? Yes? Ok. This being Sweet Valley, it'll get real — and now that the Wakefield twins are all grown up, that means Adult Situations. It's a tease, but here's what we learn in Chapter 1. Elizabeth Wakefield, a stunning beauty, has moved to New York, where she's landed at a small theatre magazine. But what no one in her new life knows? The one thing that's always on her mind: the falling-out with her twin, Jessica. "Lizzie. Pick up." The woman's voice on the machine was plaintive. "Please. I really need to talk to you." That voice, so heavy with love. Love me, it said, forgive me, so I can put you out of the way and get back to my own life. We see Elizabeth reject the chance to sleep with a friendly coworker — despite her loneliness and minimal social life — and brood on her sister's betrayal. ...and the rest? We'll have to wait for.